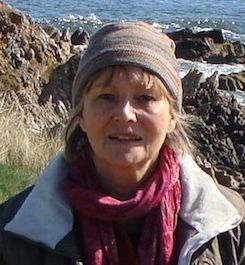 Whilst she was living in Spain, an acquaintance of Sian Mackay found a blue file containing letters and photographs at an abandoned villa in northeast Mallorca. Sian was already researching the lives of historical expatriates, such as Robert Graves and Archduke Louis Salvador of Austria, and the file drew her attention to the previous owner of the villa, the Austrian aristocrat, Baron Rudolph ‘Rip’ von Ripper (1905-60). After several years of researching and tracing von Ripper’s paths in Europe and the USA, his illustrated biography, Von Ripper's Odyssey , has resulted. ‘Incredible’ is no exaggeration. A provincial Mallorcan newspaper had already reported that von Ripper had been a CIA agent in the last decade of his life, but little else was known about him. The book traces his life from his rebellious childhood in the imperial Austria-Hungary court, to his eventual acclaim as an artist and US military hero before he settled on the island of Mallorca with his beautiful, but capricious wife, Avi, Baroness von Ripper. In the 1950s, Mallorca under fascist rule was a party island for the rich and famous. It was also a haven for ex-Nazis, agents and spies, von Ripper amongst them in his guise as a CIA agent. His mysterious death in 1960 came shortly after he was arrested at the French-Spanish border for attempting to smuggle gemstones – and a talking parrot – into Mallorca. 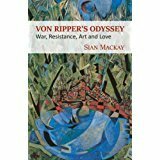 Apart bringing von Ripper’s incredible life story to the wide international audience it deserves, this book restores the legacy of his art, some of which was stolen by the Nazis, to the twentieth-century canon of outstanding protest artists.